Hydrogen fuel cells are becoming less expensive and more efficient, but they may not be the solution that the auto industry is looking for when it comes to making transportation cleaner. According to Wolf-Henning Scheider, head executive of the automotive division of Robert Bosch, fuel cell vehicles may not be commercially viable until 2025. While automakers have been investing in the development of vehicles that are equipped with fuel cells, these energy systems have yet to gain the support of consumers in the auto industry’s favored markets. According to Scheider, fuel cell vehicles may have a future, but it could be years before these vehicles reach a point where they can compete with more conventional vehicles. This is partly because fuel cell vehicles are nearly twice as expensive to produce as traditional electric vehicles, making them a costly investment for automakers and an expensive buy for consumers. While fuel cells are more expensive, they are also more capable than traditional battery systems, boasting of a higher operational range that may be welcomed among consumers. 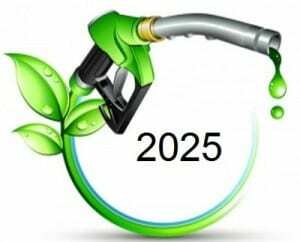 Most of the world’s leading automakers are currently developing hydrogen fuel cell vehicles, with some planning to launch these vehicles as early as 2015. Some companies are waiting to commercialize their fuel cell vehicles, wanting to see a working hydrogen infrastructure established in their favored markets, while others are focusing on finding ways to make fuel cells less expensive and more efficient. Scheider noted that fuel cells have promise, if they can overcome the issues they have been facing over the past few years. Clean transportation has become a hot topic in many parts of the world. Several governments have adopted strict emissions regulations that have put significant pressure on the auto industry. Automakers are being encouraged to produce cleaner vehicles or risk losing their ability to sell cars in certain markets. Fuel cells have, therefore, become a popular focus among automakers that are becoming more environmentally conscious.